These are in no particular order, just as I’ve entered then. This is what I believe to be my opinion in most cases, but often taken from some other source. Use the information as such. 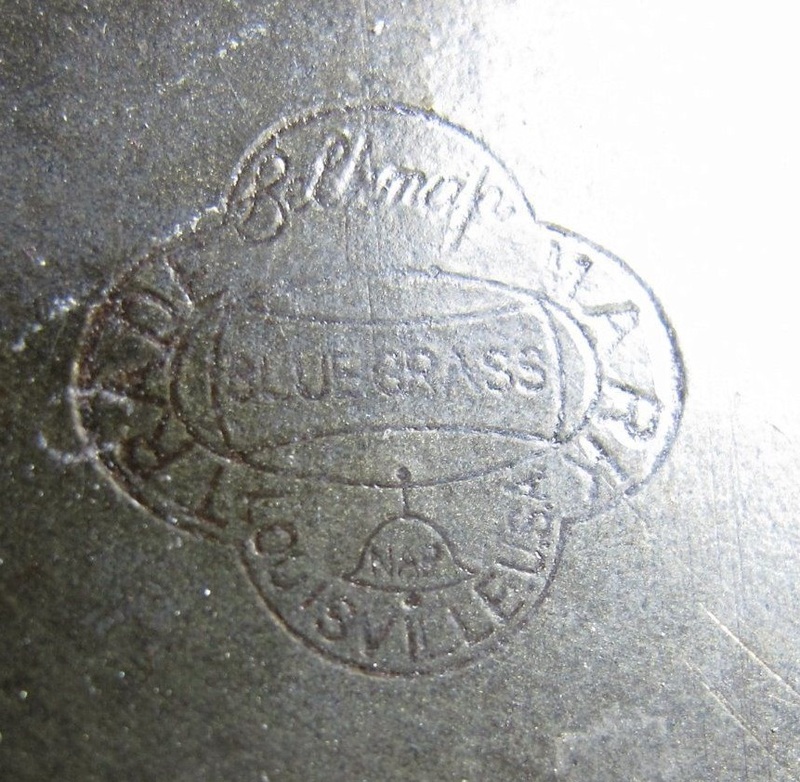 Pine Knot and Bluegrass were house brands of Belknap. Belknap started in Louisville, Kentucky in 1840 twenty years before the start of the Civil War;it was started by William Burke Belknap. They had several tiers of tools the first one is the highly recognized name of Bluegrass followed by Pine Knot, Crusader and Cyclone tools. 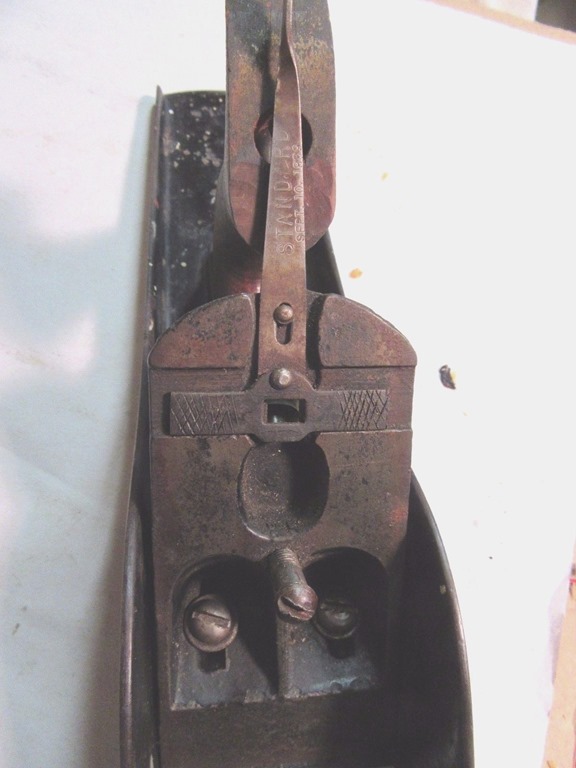 Other companies made their hand tools like Stanley, Sargent, Barcalo-Buffalo, Thorsen, Wright,& New Britain. 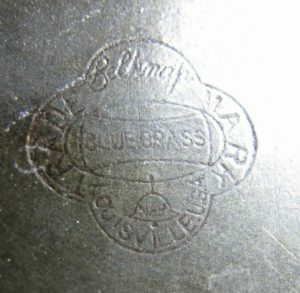 According to PTAMPIA Ben Hur was sold by Van Camp (See Van Camp Below) and made by A.B.Caldwell Mfg Co in Indianapolis, IN. Examples have been seen made by made by Peck, Stow & Wilcox Co. of Southington, CT as well. The Consolidated Tool Works is recorded as having done business in New York City from 1890 into the 1920s. Their mark featured a ships’ helm wheel, and is quite distinctive. They also used the brand name, “Simplex.” Consolidated sold a number of tools including machinist’s tools, drills, iron planes and braces. Eclipse. Sold by Montgomery Ward’s in the 1930’s. They were usually from the Defiance line of Stanley. Edgerite was a line of tools sold by Eaton’s Department Store in Canada. Eaton’s Department store was founded in 1884 and was the first company in Canada to offer a mail order catalogue. Their catalogues can be found on line and are similar to the early Sears Roebuck catalogues, of the same era, in their offerings. Just as Sears were to the U.S., Eaton’s were the primary retailer to thousands of small towns in Canada in the late 1800’s and into the mid-1940’s when they employed over 40,000 people. Eaton’s was eventually bought by Sears Roebuck in the 1970’s. 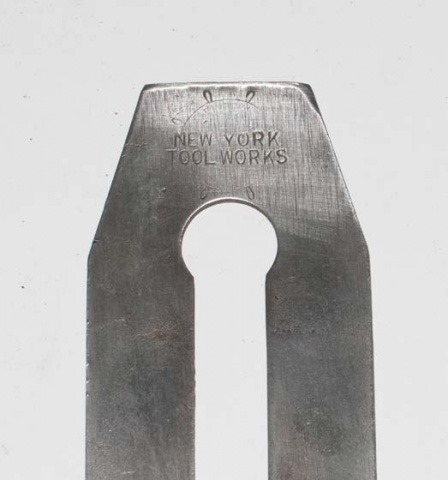 Just like Sears, Eaton’s didn’t manufacture tools, they contracted with other companies to make them with their store logo. 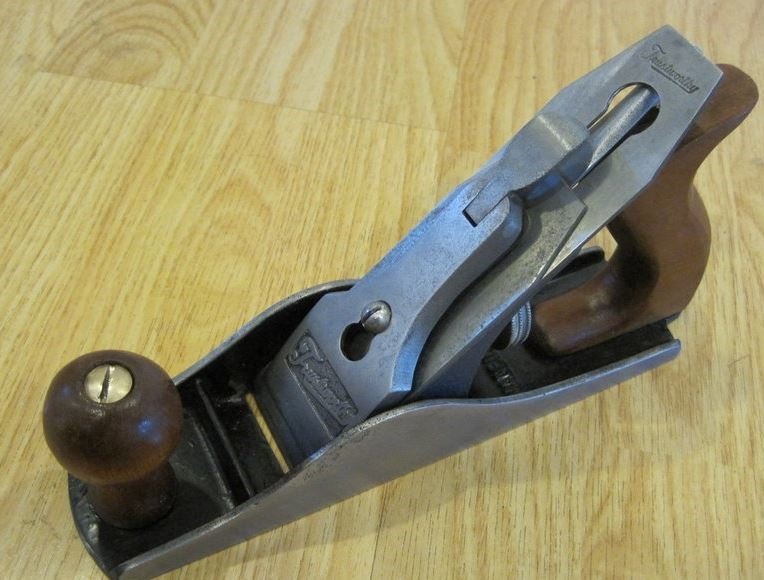 My sources indicate that Sargent Tool Co. made the planes for Eaton’s. 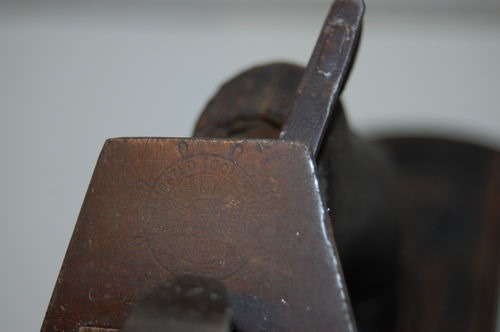 The cutter is usually marked “EDGERITE” with an anvil logo beneath the name. Designed by John Gage in 1880’s, Stanley bought the patent in 1919. Hickory was a brand name of Kelley, How, and Thomson a hardware distributor from Duluth Minn. 1904-1955. Some where made by Ohio Tools, Stanley and Sargent. IL-A-Noy (Slang for Illinois) was a house brand for the big hardware company of Hibbard, Spencer, Bartlett & Company, Chicago, Illinois. Started business about 1865. There hardware catalogs ran about 3000 pages. Some of there other tool brands were O.V..B (Our Very Best), Hibbard, Cruso, and True Value. One house tool brand was Revenoc, named after John Conover ( Conover spelled backwards). Hibbard, Spencer & Bartlett sold out in 1962 to John Cotter & Co., which became True Value Hardware Stores. Keen Kutter – Keen Kutter is a trade name first used by Simmons Hardware Company of St. Louis, Missouri in 1866. The name was adopted as a trade mark by Simmons Hardware Company in 1870 and was used on their highest quality tools and cutlery. 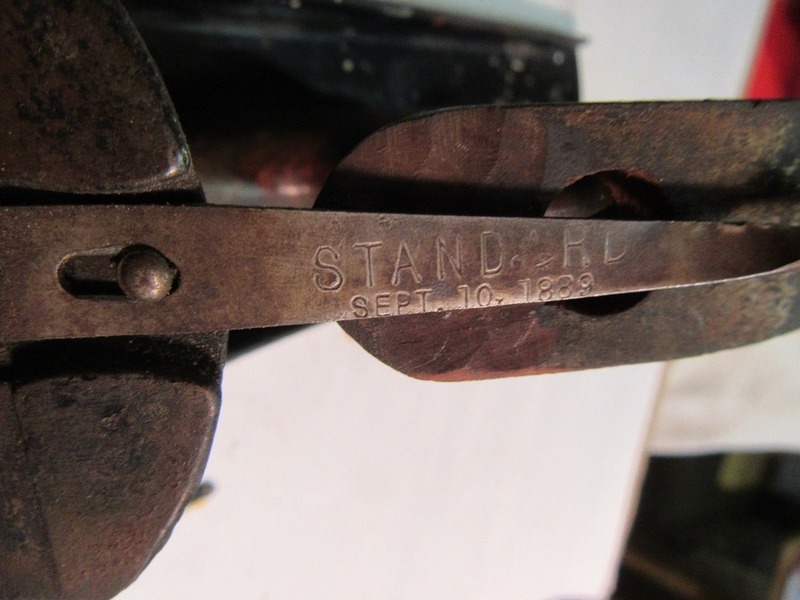 Keen Kutter Planes marked with a single letter and then the # size are actually early style Bedrock planes made for them under contract by Stanley. They are of the same high quality and in general much harder to find. These planes date from near the turn of the century to about the teens. 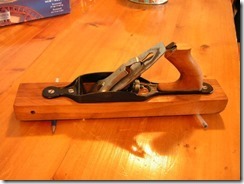 Keen Kutter KK series planes were made for them by a few different makers including Ohio Tool Co, and Sargent. Over the years Simmons switched back and forth using different manufacturers at different periods, I suppose because the bid for those years was more attractive. 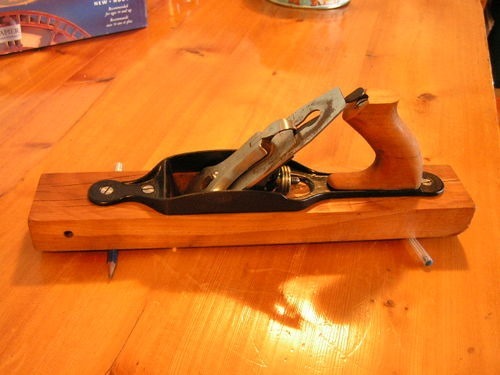 Sargent and later Ohio made the later versions with the Mahogany handles and 4 digit # or the no number varieties to identify the plane. the Modern Grinder Company from Wisconsin. These planes are referred to in PTAMPIA Vol ii on page 314. The interesting part of Modern is that all their planes came from the factory with EA Berg irons possibly the only North American manufacturer to use Berg irons with the Berg shark on the front of the iron and Made in Swede on the reverse. Wards Master. 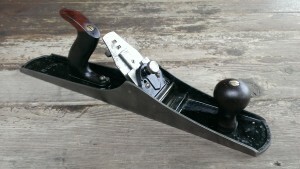 Wards Master was typically a rebranded Stanley plane. Same quality and finish. Lakeside – Lakeside planes were cheaper Stanley-made (mostly) planes that were made for Montgomery Ward and, as such, they’re not really worth a lot of money. Montgomery Ward never made their own tools but instead used other makers tools which were then rebranded. 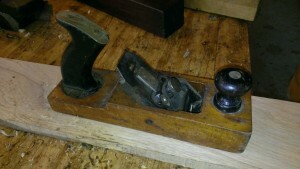 The fit and finish isn’t quite as good with say a normal Stanley or Sargent plane, and the handle and knob are usually stained beech or another hardwood, rather than rosewood. With some fettling though you can end up with a decent enough worker plane. The key word in the above paragraph is “mostly” Union also rebranded Union X series planes as Lakeside. See this thread. Marsh H.C. Marsh Tool Co. of Rockford Ill. 1915-1924. The Marsh planes may have MARSH cast into the bed and the letter M precedes the number, i.e. M2, M3, M5 1/2, etc. 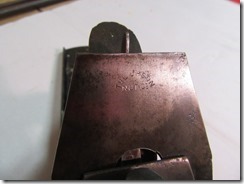 The irons are stamped with the Marsh name and also with the width of the cutters. Richards Conover Hardware (Rich-Con) . According to PTAMPIA Rich-Con sold planes around c1925. That’s 5 years after Stanley bought Union, so that would fit the planes I’ve seen. 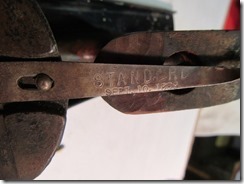 Stanley kept the Union plant going and used up the stock, but we see a switch to the Stanley type lateral adjuster. PTAMPIA Has Richards Conover Hdwr Co located in Kansas City MO. Solar Mfg Co. I bought one of these but can not find much information. The story is they were made in Worcester MA up to the 70’s. Diamond Edge – Diamond Edge was a brand name used by the Shapliegh Hardware Co. Many were made by Sargent but other manufacturers may have made them as well. The easiest way is determine a plane’s maker is to remove the frog and look at the way the frog mates to the plane. 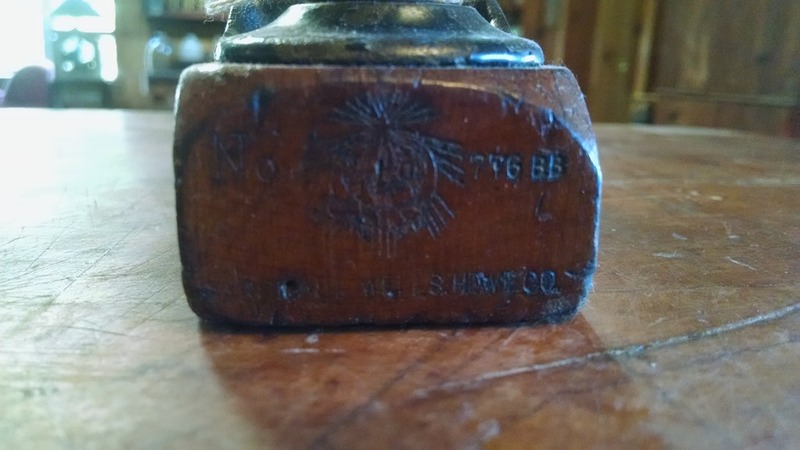 The correct lever cap could have been plain or it could have had an embossed diamond with DE inside it depending on the age. 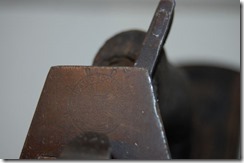 Many Diamond Edge planes have a hard rubber (maybe gutta percha) tote. 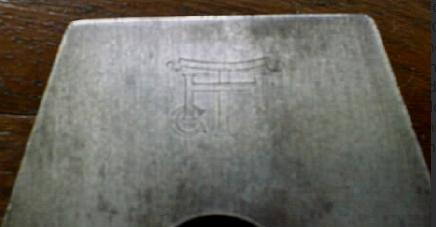 In addition to its Diamond Edge,other recognizable “house” brands marketed by Shapleigh were Mound City, Norleigh Diamond, Diamond Brand, Jersey, Panama, Ice Diamond, Bluebelle, Sageware, Black Jack, Red Raven, King Nitro, Sahara, Black Prince, Blue Diamond, Rugby, Triumph, Defiance, Black Wonder, Double Diamons, Mascot, Bull Dog, Ozark, Columbia, Longwear, Mizzou,Bridge Tool Company and Bridges. Merit was a line sold by Sears. At least some of these were made by Sargent. 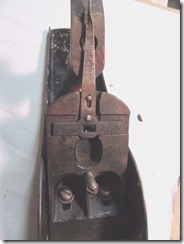 Sears started selling Fulton tools about 1908. 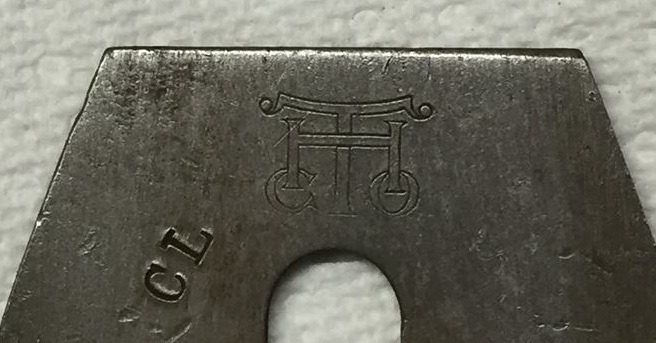 I believe the early Fulton’s are marked Fulton Tool Co and are just Rebranded Sargent. In 1927 Sears came out with their Craftsman line. 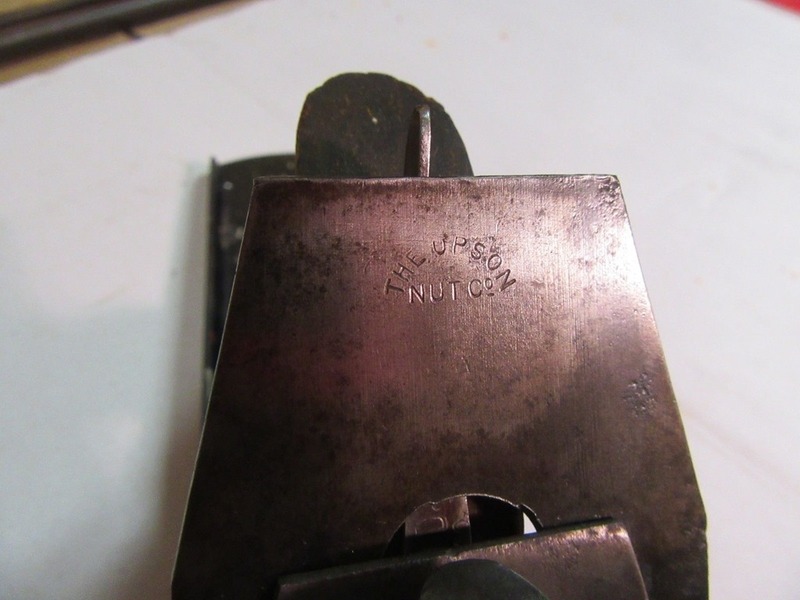 At that point the Fulton line was changed to just Fulton and was made a lesser quality tool line, at least when it comes to hand planes. Steers – William Steers was a native of Sherbrooke, Quebec and it’s there where he received the patent (September 11, 1883) for his interesting entry in the deadend plane contest. Steers, realizing Canada’s fortune lay in beaver pelts and lumber, soon moved to Brattleboro, Vermont where he went into a partnership with a native of the town to form the Brattleboro Tool Co.
Also see Brattleboro Tool Co.
Sold by Salt lake Hardware Co. Made by Sargent c.1950. Union – Union Mfg. Co. New Britain, Connecticut. 1880-1919. Some believe these are better than Stanley. Union Planes are on par with Bailey but, the “X pattern” Unions, with their double adjusting nuts are perhaps a bit superior. In 1920 Stanley Purchased the Union plane division. Van Camp hardware is one of the legendary names in the wholesale hardware field. Founded in the nineteenth century in America’s heartland, it served the middle west for over a century with the products that helped build a nation. That it sold a boatload of fishing tackle is an added bonus to what is a classic American success story. Victory. I can’t find much information on Victory, It appears it was just a iron Stanley put in the planes after we won the war. Vaughan & Bushnell Short history. There are 3 series of V&B planes, the 700, 800 and 900 series. The 700 & 900 series had forged steel bodies and were advertised as being unbreakable. The 800 series are cast iron. All the V&B planes had the bedrock frog design. They are numbered like the Stanley planes but just in the hundreds.. 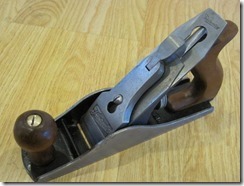 So a V&B 903 would be same as a Stanley #3, a 807 would be a #7 size. The 900 series planes had the flat top sides just like the later Bedrocks and these were considered their premium series. Worthington. The GEORGE WORTHINGTON CO., was one of the nation’s leading hardware wholesalers and industrial distributors in Cleveland Ohio. I believe all Zenith planes were made by Sargent. There was a time when I thought all Zenith bench planes were Shaw patents, although there were some transitionals as well. I have since seen some examples of the #400 series stamped with Zenith.